This is the third part of a series regarding the visit to Kampala of the RNC’s head of diplomacy, Charlotte Mukankusi, where she met with President Yoweri Museveni on two different occasions between March 1, when she arrived, and March 6 when she departed the country. The first and second part of the series can be found here and here. Mukankusi was Rwanda National Congress (RNC) supremo Kayumba Nyamwasa’s deputy when the latter was Rwanda’s top diplomat in India. 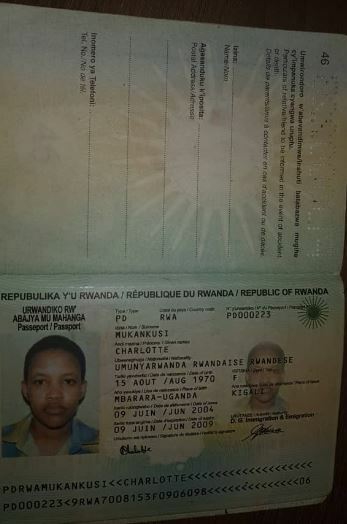 Naturally, Mukankusi had been issued a diplomatic passport by the Rwanda government during her assignment, but she could not get it renewed when it expired because she had by then absconded to align herself with the terrorist organisation co-founded by her previous superior in New Delhi. So, to travel to Uganda to meet with President Museveni – who has fashioned himself as the RNC’s patron – his government came to her rescue. 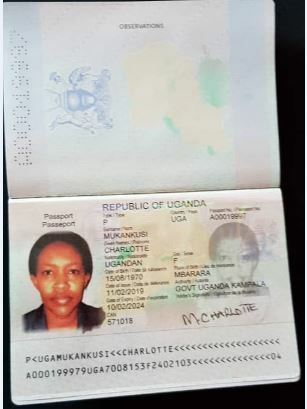 On 11 February 2019, she was issued with a spanking new Ugandan passport No. A00019997. It is valid for five years, expiring on 10 February 2024. Mukankusi’s smear campaign against Rwanda’s leadership had been limited due to lack of a passport and therefore limited mobility. However, with Uganda’s intervention, she has been facilitated to continue with this work. 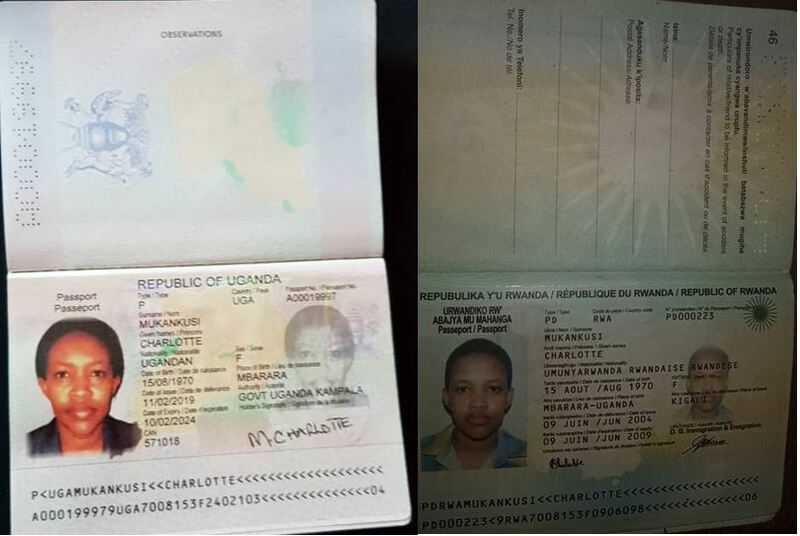 Also, since Rwanda denied her a passport because of her terrorist links and efforts were undertaken to curtail her ability to recruit sympathizers to the terror organisation, the decision by Uganda to facilitate her mobility clearly shows Museveni’s commitment to forces that are bent on destabilising Rwanda through methods that include terrorism. In fact, this is what has been happening. On 31 December 2018, the United Nations published a report implicating Museveni’s government in facilitating armed groups with bases in the South Kivu region of the Democratic Republic of the Congo, whose leader is Kayumba Nyawasa. Uganda was accused of recruiting and facilitating the movement of rebels. The spokesperson of the FDLR, Ignace Nkaka aka Laforge Bazeye Fils and its chief of intelligence, Lt. Col. Nsekanabo Jean Pierre alias Abega Kamala, were intercepted at the Bunagana border with the DRC on their way from the meeting in Kampala. DRC officials handed them over to Kigali and among the things they revealed is Museveni’s commitment that the RNC and FDLR join their forces in order to give the impression that those opposed to Kagame reflect a broad base of Rwandans from the main ethnic groups of Hutus and Tutsis. At the December 14-15 meeting, the RNC was represented by Frank Ntwari, who is based in South Africa but frequents Kampala at Museveni’s invitation. Mukankusi’s visit is thus part of a wider pattern of the top Ugandan leadership receiving FDLR and RNC representatives, and facilitating rebel movements as well as those of their senior officials, Mukankusi’s being only the most recent. Mukankusi will ultimately find herself answering for her role in promoting terrorism. However, as provocative as Kampala has been, Kigali has handled the everyday act of hostility with a cool head, preferring to find ways to counter any potential threat from its enemies instead of confronting Uganda directly.